Many people describe the casting portion of treatment like wearing braces on your teeth, and the Boots & Bar (B&B) phase like wearing a retainer. B&B maintain the correction achieved by the casting process. 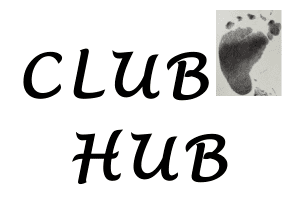 Your child will wear B&B (boots on both feet, connected by a bar) even if they only have unilateral (one) clubfoot. B&B can feel overwhelming and never-ending, because your child will wear them for years. Initially, your baby will wear B&B 23 hours a day, for the first three months. Then, if his or her doctor gives the go-ahead, that time will gradually be reduced until your child is only wearing the B&B at night. Nighttime wear will likely continue until age 4-5, depending on the plan you and your doctor devise. There’s some pretty hard work required on your part; most people experience a learning curve when it comes to getting everything figured out. The most important thing is to be diligent with the bracing and to strictly follow protocol. It can be very easy to say, “Well, I’ll just leave them off for a few hours so we can get some sleep,” or “I’ll just unclip the bar while we’re in the car so he’s more comfortable.” The unfortunate reality is that relapse can happen quickly, so for your child’s best interest, you must “brace on!” as many clubfoot parents say. If you are diligent about following the guidelines, you will know that you’re doing everything possible to minimize the chance of a relapse. If your baby gets blisters that become infected, you will likely be instructed to discontinue bracing while the infection heals. Click below for some tips on avoiding blisters. If you encounter any problems with insurance or with getting the B&B through your doctor’s office, you can order directly from MD Orthopaedics. If you need used boots in the United States, you can get in touch with the Clubfoot Shoe Exchange USA on Facebook.